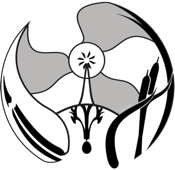 Welcome to Pequals.com ['pE'E-kw&l-z'dät-"käm], such as in P = I·V or P = work/time. This is an HTML sister site of Appropedia.org, the Appropriate Technology living library that all can enhance. Here at Pequals.com you'll find a list of engineering student projects along with some other links related to things people in our appropriate technology world have been up to. Let us know if you like what you see, or if you don't like it, what we can do to fix it. Appropedia.org launched! Which articles may you author? CCAT'sMEOW, short for the Campus Center for Appropriate Technology's Mobile Energy Operations on Wheels, is a highly mobile solar power station posessing the ability to send 60 amps over 24 volts from energy stored in eight batteries collected from solar panels mounted on its roof. Recent electrical work and roof mounting systems show how to turn this ordinary trailer into a beefy energy supply. Also see: Appropedia.org: Photovoltaic Category. Turning a common area into green space is masterfully followed through in this Alameda County residential district with a targeted homeless population. The APC's (Alameda Point Collaborative) garden is now complete with planter boxes, herb spiral, fruit trees and worm bins. Also see: Appropedia.org: Community Participation in Development. Cob, plus mirrors, plus parabolic-shaped-chicken-wire-basket, equals solar cooking fun in this thumbs-up, mud-filled adventure. Follow Duncan and Bart as they go hay-wire over figuring the in's and out's of turning regular dirt/clay into a sun-powered heating device. Also see: Appropedia.org: Solar Cooking Category. Do you use an animal as your primary source of transportation? Are you worried about climate change? What do you do with your food scraps? Find these, and more great questions, directed toward the citizens of Parras de la Fuente in this information gathering survey to aid in addressing the needs (if any) of the townspeople. The results of the survey have been compiled into beautiful tables and charts. The progress of the survey as it came about and what it might be used for are also included. Also see: Appropedia.org: Information and Communication Technology Category. The one...the only...CCAT Earthenoven!!! Also see: Appropedia.org: The Garden House Cob Oven. 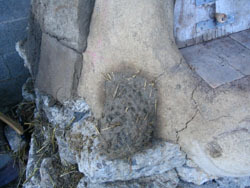 Appropriate technology students apply a natural plaster to a straw bale wall, for a smoother look. Recipes and tricks to finishing this wall include everything from burlap sacks to milk curds in the natural red paint. Also see: Appropedia.org: Cobb Category. Alyssa Grassi examples her papermaking abilities and other ways of teaching science through art, such as a home made paper press, solar powered paper pulper, and a styrofoam-concrete oven. 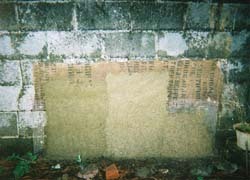 Also see: Appropedia.org: Papermaking. Tall boys in a box: Julie Jo and Hector use the sun filled skies of Parras, Mexico to discover the adventures involved in solar box cooking. Highlights here include salvaged wood shavings, glass sealants, and a wood working specialist father. Cookies anyone? Also see: Appropedia.org: Cookers Category. The Peugeot (pronunciation) Ped-L-Vu is a home brew pedal power exercise bike that converts human energy into television watching power. Watch Jon as he borrows the low-RPM alternator and 12-volt battery from a '71 Land Cruser and puts this stationary bike into gear. Also see: Appropedia.org: Pedal Category. Darrell Ross assembled and installed this 1.5 kilowatt photovotaic system on a family friend's barn. Indoor lights, powered by four 6-volt, 225 amp-hour batteries, make feeding animals in the dark a Guntley past-time. Also see: Appropedia.org: Photovoltaic Category. 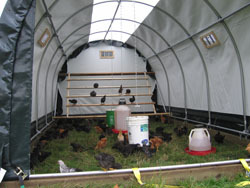 Need a greenhouse for under $100 and made from recycled materials? Check out Stuckeymom as she went to work on this 6'x8' mobile home addition. Also see: Appropedia.org: Alternative Building Category. Ethan Zuckerman held up more than just this 550-gallon collection tank as he completed this church-front rainwater catchment system; he also aided the Rio Dell Community Resource Center of Humboldt County in strengthening failing community ties. Way to go Super-Z! Also see: Appropedia.org: Rainwater Category. Spinning Barrel composting brings a new turn to an age-old reversion process of organic matter atrophy: simple parts, easy to use. Also see: Appropedia.org: Waste Management Category. Jeremy James powers up his lawn mower with the sun. A 40 amp-hour deep-cycle battery and an 11-watt solar panel allow him to power a 12-volt DC 3/4-horsepower motor for over 45 minutes. Also see: Appropedia.org: Solar Charged Lawn Mower. Two girls, two adoberas (adobe forms), one big adobe box. Renée and Kendra construct an adobe box in an attempt to hold water as an alternative to the plastic linings for ponds and gray water marshes. Also see: Appropedia.org: Cobb Category. Did you ever notice that place in your back yard where you always want to just sit and kick back but didn't want to install a commercially produced park bench? Jessica Rendon led a supported campaign to finish the construction of the cob bench at the Campus Center for Appropriate Technology at Humboldt State University, California. This cob bench is fully loaded with an urbanite/cinder block foundation, seashell and mirror inlays, inset soil analysis, and more! We do just about everything cob around here. So sit down, kick off your shoes, and stay a while. Also see: Appropedia.org: Cobb Category. Need to fix up that old cob bench you made in your back yard? Nat Davies made additions to the cob turtle and also fixed up an older cob bench in the community. 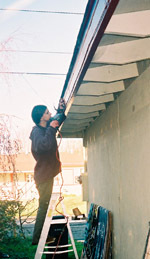 A fine cob fixer is she as her hands on application and use of basic tools and techniques provide just the right touch to aid any failing cob project. I could go for a cob massage myself just about now. Also see: Appropedia.org: Cobb Category. In a business venture of sustainable chicken raising, Sarah Brunner and Shail Pec-Crouse constructed both a chicken hoop house and a chicken tractor. ***Warning*** This site contains graphic illustrations of chicken slaughter. Also see: Appropedia.org: Agriculture Category. If you ever needed extra water for your garden, but didn't want to pay the city for it, you might try collecting it from your roof. That's what happens here as a person, some friends and a cat strive to collect and hold water for this adventure in water catchment featuring a ferrocement holding tank and a great design layout. Also see: Appropedia.org: Rainwater Category. Editors pick! This is the best project ever! 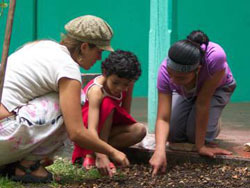 Designing and planting a garden for a children's orphanage is a great way to influence the world one niño at a time. Also see: Appropedia.org: El Jardín Mágico de las Niñas. 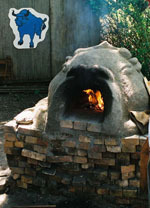 The Blue Ox Oven is an excellent example of earth oven creation at its best. Have a cow over this appropriately fired sculpture. Also see: Appropedia.org: Cobb Category. Solar fountain. 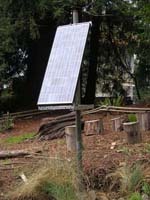 Moving water with the sun is a great addition to any garden with energy savings. Also see: Appropedia.org: Photovoltaic Category. Ever needed to make a plaster from earthen materials? Test plaster here. Also see: Appropedia.org: Cobb Category.